We are now nearly two and a half months into 2019 and the weather has being so mixed and varied, from nice warm days with light winds, to gales and heavy rain. At the April 2019 club night, we will be holding a ‘Bring A Model Event’ . This event is being kindly organised, by one of our club examiners Jim Brown. Please make an effort to come along and support this event. Up to 12th March 2019, 130 members have joined PANDAS for 2019. The dates for most of the events, that are being hosted at the PANDA’s flying site for 2019, have been added to the club events page. Check the page for details. 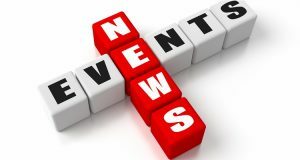 The first event is a BMFA scale event on Sunday 21st April 2019. The next event will be the Electric Fly-In and Retro Single Channel Event, held over the weekend of Saturday 18th & Sunday 19th May 2019. The welfare cabin will be available for members to use shortly. Check Terry’s news page for latest pictures. (Thank you to Allan Marshall, Graham Worfolk and one or 2 others, for their work on the cabins). The BMFA Northern area committee, have confirmed they will be holding their annual Northern Area Summer Fly-In at the PANDAS site on Sunday 14th July 2019. The BMFA Northern area committee, have also confirmed the dates for flying at Dishforth this year, for anyone who is interested (click for details). And finally the BMFA Northern Area Annual Swapmeet at Leeds Trinity University is being held on Saturday 23rd March 2019 (free entry for buyers and sellers). Saturday 9th April 2019 is the next ‘No Flying Day’ in 2019. The other ‘No Fly Days’ are on the club website. If anyone has any problems or matters, they wish to raise, please feel free to phone or email me and I will do my best to resolve them.